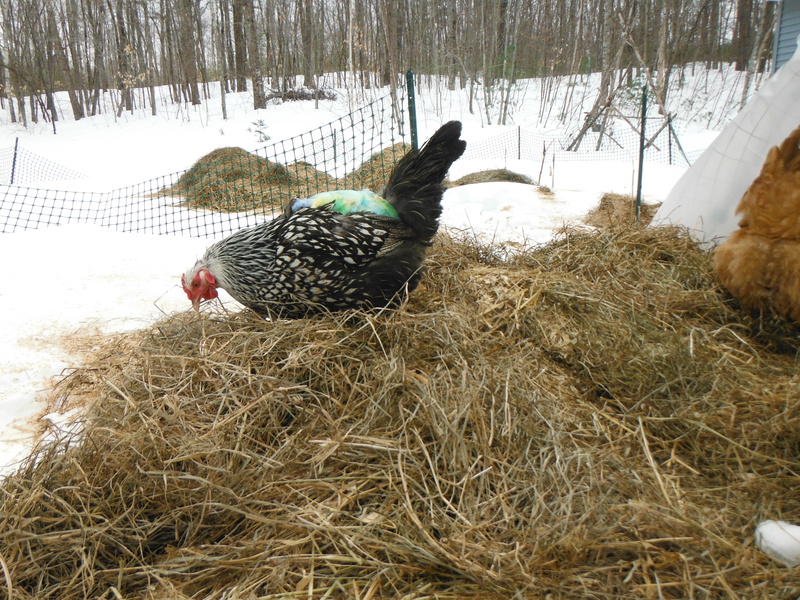 The snow and the eggs keep piling up! Looks like today will be another day of being homebound for me. I’m not sure if it’s a good sign that I am totally OK with this. I have only left the house once or twice a week for months now and I don’t think I have suffered any ill effects. The purple monkey in the cabinet is claiming otherwise, but he is drunk! As usual. 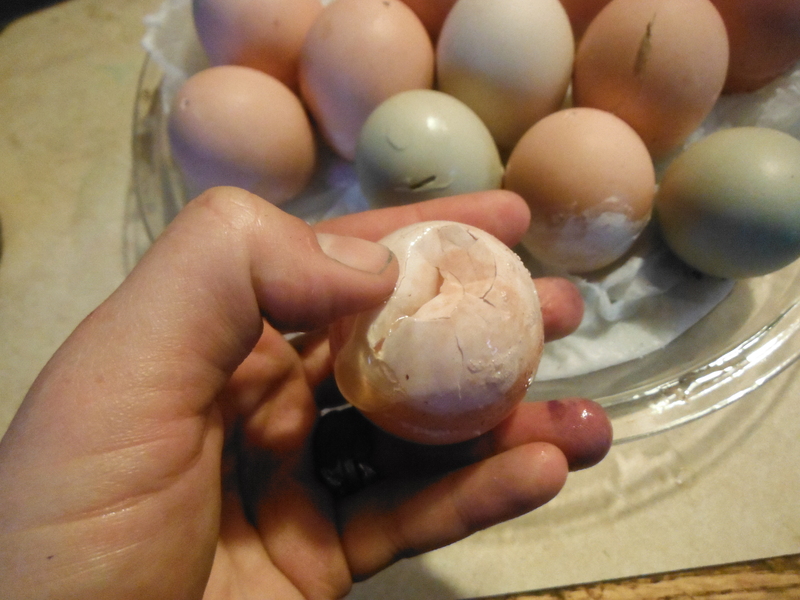 I also tried my hand at some emu eggs. That’s another post though. As I started drilling the drainage holes on another batch of planter eggs my dremel ran out of juice. “Great” I thought, more back up in the egg department. I was planning to get those hollowed out and stored to clear up counter space. Now all that was on hold. 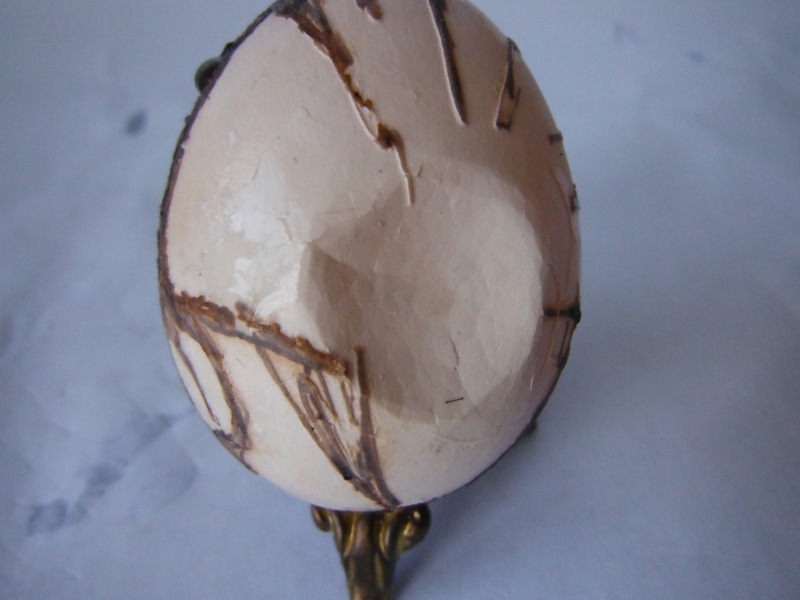 Then I was struck with an idea inspired by one of my early egg mistakes (of which there are oh SO many to choose from) specifically what happens when you leave the eggs in the vinegar for too long. 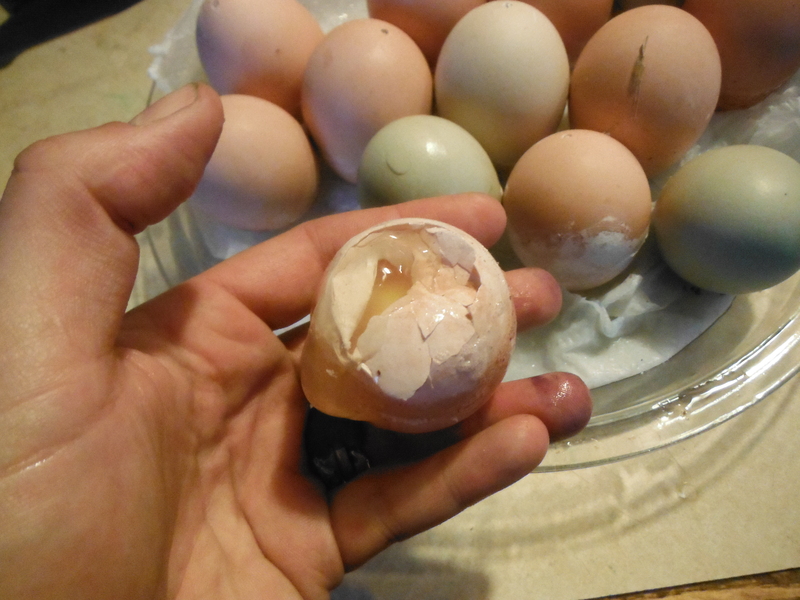 The shell is more of a membrane I could actually squick the sides back and forth. It was kind of cool. I got out a pie dish and lined it with a napkin. Added an inch of vinegar and waited. A day later, presto! 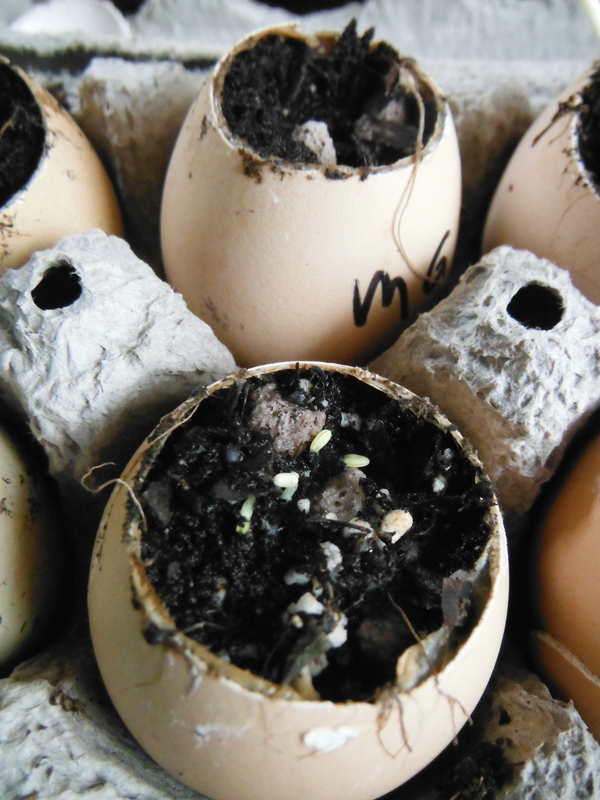 Soft spots in the egg that require only a thumb to make into holes and thus finished plant starters! Done! That was so much easier then the dremel! So now any eggs I don’t get to at the end of the day are sentenced to being dunked in a vat of acid. Crewel but necessary if we are not to be overtaken by eggs. My first attempts at the planters are growing bigger every day. 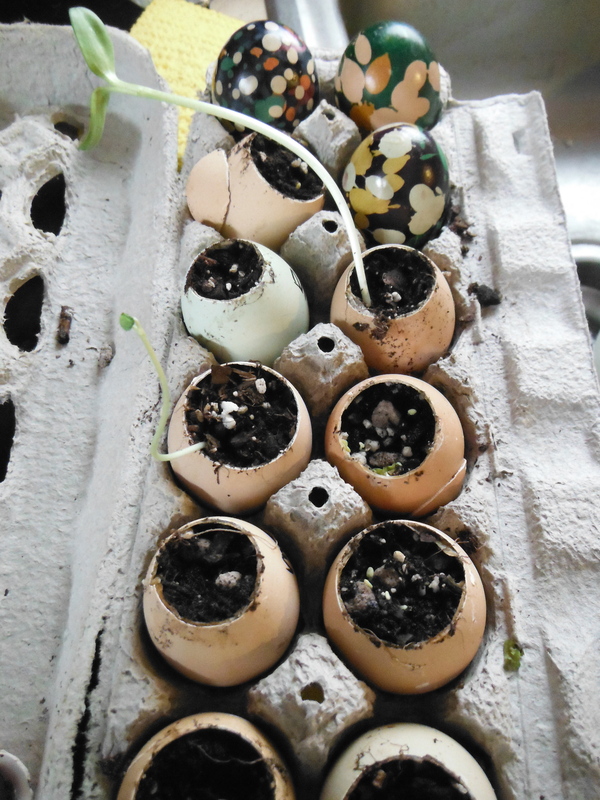 That’s a sunflower and morning glories sprouted. 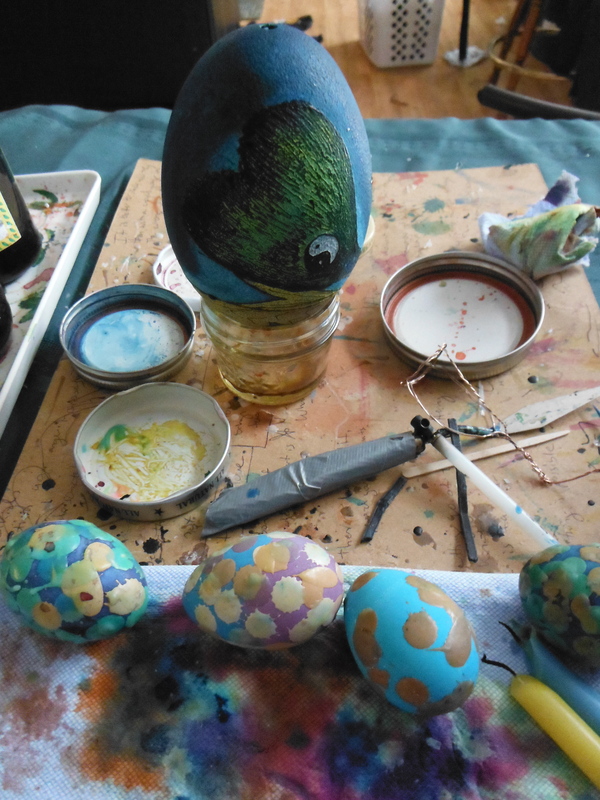 As well as some ‘bubble’ eggs in the background. 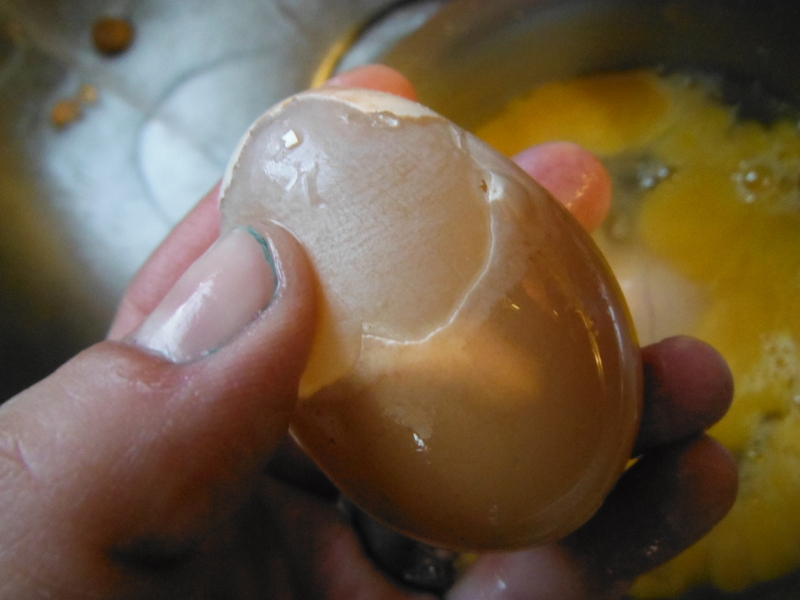 I even had some cool eggs where the shell could be peeled away from the cell membrane of the egg. Like my green fingernails? 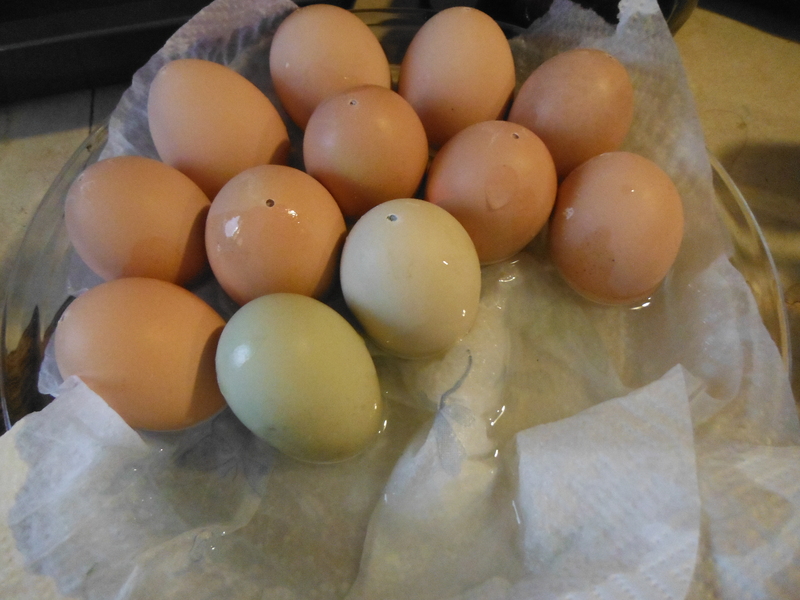 Can you tell I have had my hands in egg dye for a while now? 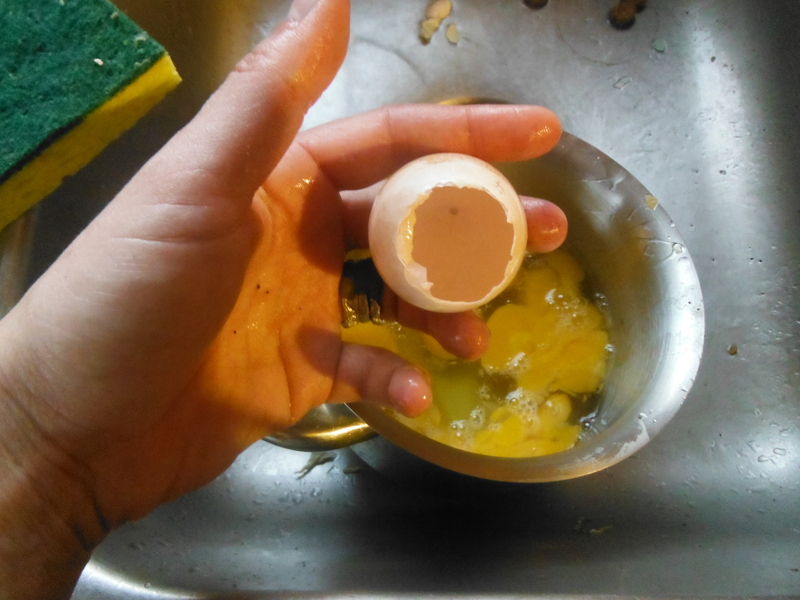 If you are wondering what happens to all the egg insides (No. I do not, cannot and will not eat all of them myself. No. thank. you.) They get cooked up and giving to the animals. I even add granulated garlic. It is good for all their coats and immune systems. Yes they are tie dye (left over from the banners at our wedding) they are also lined with fleecy blankets. 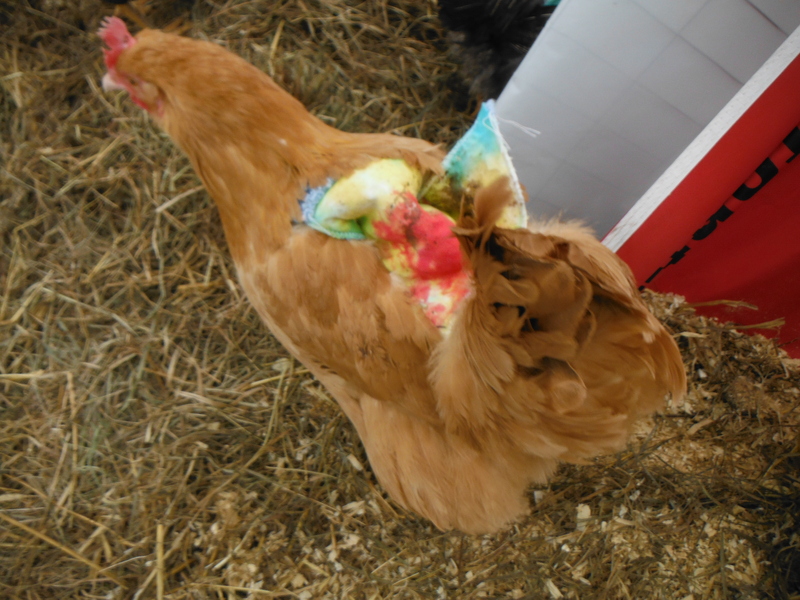 Henrietta #1 with her cool hen saddle all ruffled up. 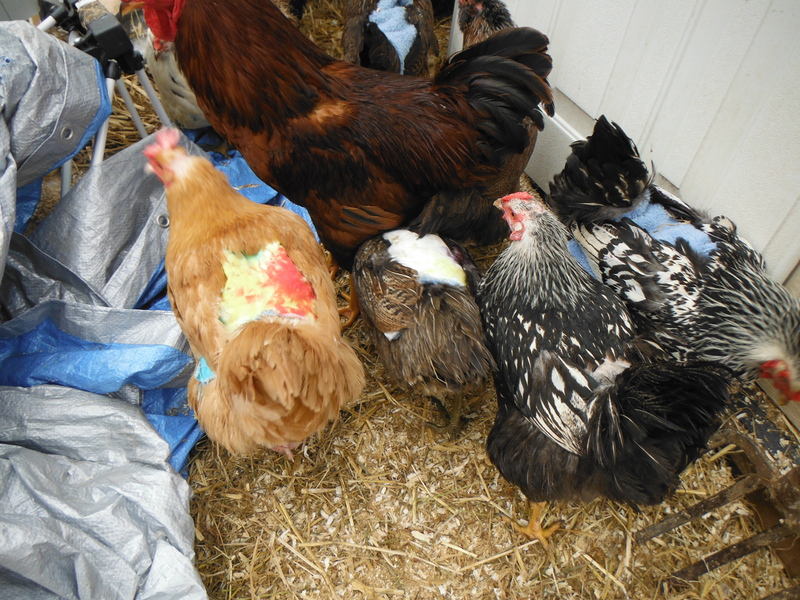 Keeps them warm and protects them from feather loss when mating. I want to come back as one of my pets when I die. I suppose that is like being your own grandpa, but hey I hear that is possible…somehow.